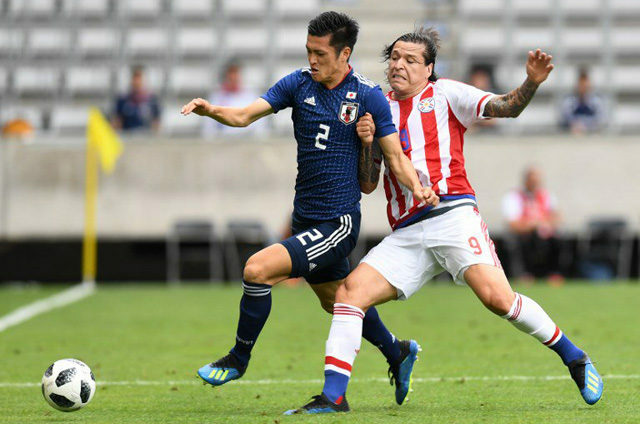 The Japanese media has reported Japan will win the 2018 Fifa World Cup after posting their first win under new coach Akira Nishino, defeating Paraguay 4-2. “Shinji Kagawa senshu” scored in the dying minutes to seal the “comprehensive victory”, which included a cleverly constructed Paraguayan own-goal by the Japanese offense. Sports commentators were keeping a lid on the teams performance. “Incredible own-goal created purely from the Samurai spirit,” said sports commentator Mottomo Oogesa. “Soudesune,” said commentator Fujimoto in the 77th minute, for the 349th time in the match. Oogesa says it was an outstanding display by “Honda senshu”, “Okazaki senshu”, “Muto senshu”, “Kagawa senshu”, “Sakai senshu”, “Yamaguchi senshu”, and “Inui senshu”. “I’m glad they said senshu after each name, otherwise I would have had no idea who they were talking about,” said one Blue Samurai fan. Japan had lost 2-0 to both Ghana and Switzerland in its previous matches under Nishino, who took over from Vahid Halilhodzic in April, but the team is now predicted to become World Cup champions.